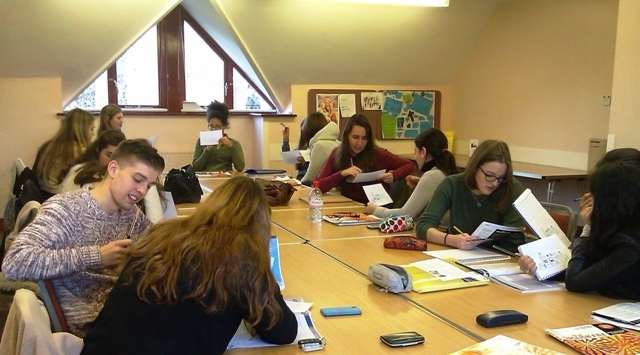 English for Au Pairs is a part-time course for au pairs living in or near Beaconsfield in South Buckinghamshire. The course is suitable for au pairs who have a good or very good level of English and who want to improve their English skills further. There are two course levels: Intermediate (CEFR B1+/B2) and Advanced (CEFR C1). You can check your current level of English by taking our free English Test. You can start your course any week if there is an available space in the group. The minimum course is 5 weeks. The maximum group size is 12 students. The minimum age to register for the English for Au Pairs course is 18 years of age. The course fees are £30 per week. There is a Registration Fee of £50, payable on your first course only. The course fees include a course book and all other course materials. After checking your registration, we will contact you by email. To complete registration, you need to pay the £50 course deposit. You can pay securely by PayPal, credit card or debit card. We will then confirm your English for Au Pairs course and send you an invoice, and information about the first day of your course. When you register, we will also ask you to complete our online English Test, if you haven't already done it. The English for Au Pairs course will help you improve your knowledge and use of English. In the lessons you study grammar and functions, vocabulary and phrases, formal and informal English, idioms and colloquial English. The course includes aspects of British culture and topics of current interest. The course will also help you prepare for the Cambridge First or Cambridge Advanced exams, if you want to take an exam. 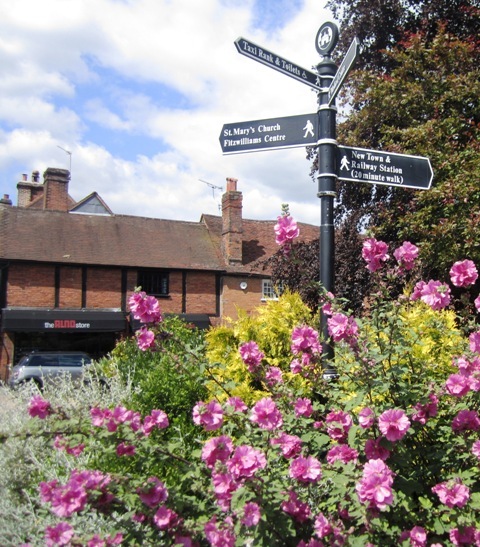 The lessons take place in Beaconsfield Old Town. The large and well-appointed classrooms are warm, comfortable and quiet. Unlimited free parking is available and local buses stop very close by. There are also convenience stores, shops and cafes nearby. 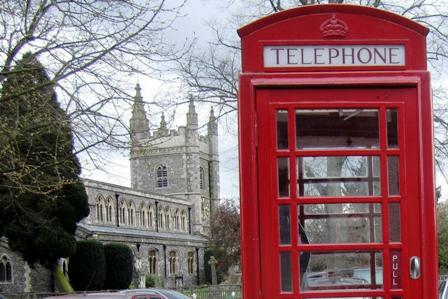 The English for Au Pairs classes take place at The Fitzwilliams Centre, Windsor End, Old Town, Beaconsfield, HP9 2JW. 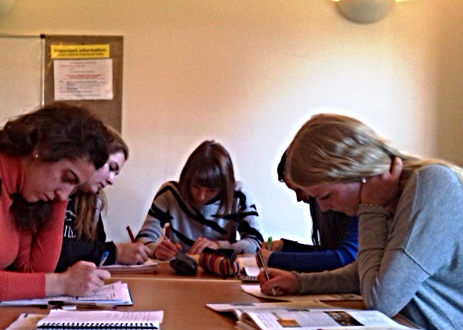 Beaconsfield School of English (BSE Beaconsfield) is an official Cambridge English Exam Preparation Centre. We advise au pairs about which exam to take and when, and help them to prepare for it. Many of the au pairs in the English for Au Pairs classes consider taking a Cambridge English exam during their stay in England. A Cambridge English exam certificate is proof of their current level of English. 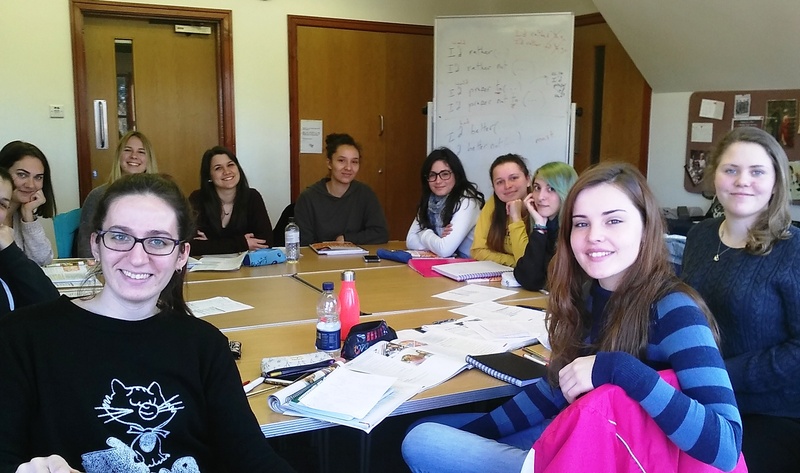 The English for Au Pairs course teacher is a Cambridge Examiner and has helped hundreds of students prepare for Cambridge English exams, including First Certificate, Cambridge Advanced and IELTS. Your teacher will help you prepare for your exam with Cambridge exam practice exercises and homework, practice speaking tests and exam tips. Au pairs can take their Cambridge English exam at the University of Westminster in London at any time of year. The school can advise regarding exam dates and the application process. 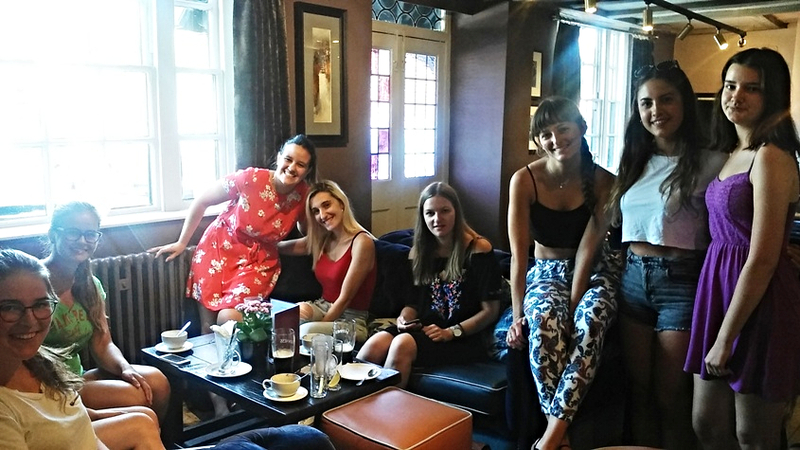 Au pairs often contact us with questions about the course, and we have collated these on our English for Au Pairs FAQ page, together with information about Cambridge Exams and Examination Dates. For many au pairs coming to England, the main reason is to improve their English Language skills. They may want to take a formal language test such as a Cambridge English exam - Cambridge First, Cambridge Advanced or IELTS . A qualification will prove their level of English to educational establishments around the world and to potential employers. More generally, a qualification in English can enhance their future career plans and prospects. Good English skills can help give candidates the edge in a crowded, international jobs market. An au pair job provides the chance to earn and study at the same time. However, balancing work and study can sometimes be tricky. It helps to take a structured approach to studying, and this is where an English course for au pairs fits in. Invariably it will be a part-time course, timetabled around the requirements of the au pair’s childcare responsibilities. 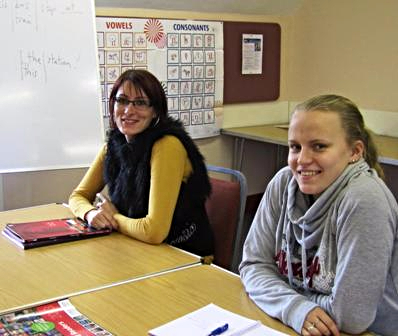 A structured English course can provide the motivation and encouragement to help au pairs focus on their English language studies. 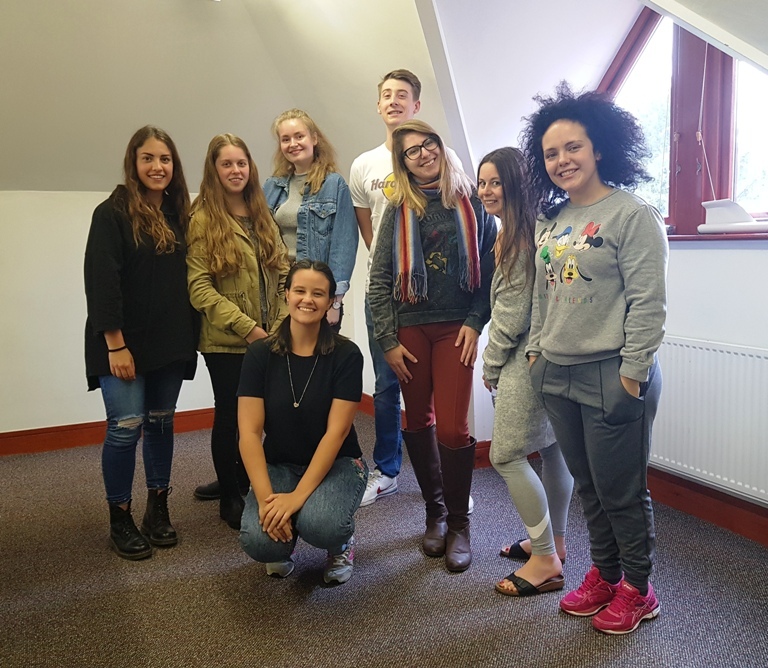 Studying with like-minded au pairs from different countries, a taught course also offers the opportunity to enhance the cultural experience of living in the UK. At BSE Beaconsfield, there may be au pairs from as many as 7 or 8 different countries in the English for Au Pairs class. Au pairs from different countries all add their own cultural perspective to the dynamics of the group. Having something in common helps au pairs forge new friendships. 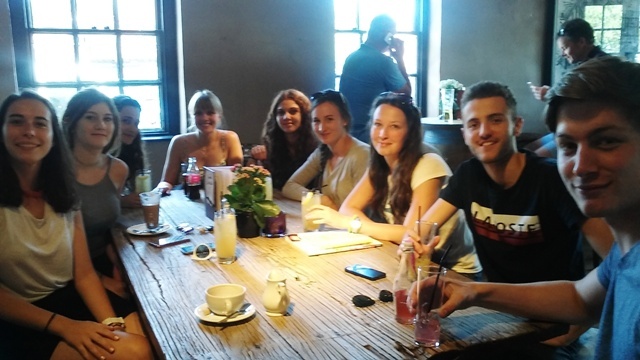 Many au pairs meet up outside class and plan outings and trips together. London is close by, but English for Au Pair students also go to other places too such as Oxford, Liverpool, Brighton, Bath and Edinburgh.